This fall has been a busy time for me and I’m enjoying it. Less than two weeks ago I was able to give the keynote at the 2013 North Dakota GIS Users Conference in Grand Forks, ND. This trip was special for a couple reasons; I picked up some UND Hockey gear, got to meet a ton of new people and now I can safely say I’ve been to all 50 states. Yes, North Dakota was the last one on my list after an airplane malfunction allowed me to add a night in West Virginia to the list earlier this year. You might say I had a fracking good time up in North Dakota (get it?) and I’m totally looking forward to going back, especially since the weather was beautiful. Must be like that year round. 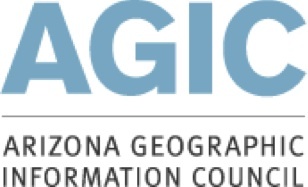 This week I’m headed to the 2013 AGIC Education & Training Symposium up in Prescott, AZ. I do love myself a symposium, that’s for sure. It’s basically the Arizona State GIS conference but I guess you can’t call it that. I’ll be giving a talk on Using OpenStreetMap in your GIS Project which will be full of practical points on getting the most value out of OpenStreetMap. Next week I’m keynoting the Manitoba GIS User Group 2013 Conference (I guess not everything is a symposium) on October 2nd. I’ll be giving a talk on staying relevant with technology changes but still calling yourself a GIS professional. Again, lots of good stuff but I don’t want to spoil it. I can guarantee that there is 100% no pictures of cats in my presentation. 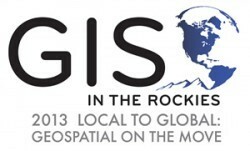 And lastly, I’m keynoting the GIS in the Rockies 2013 conference in Denver, Colorado October 9 and 10th. I’ll be giving the same talk as the MGUG conference but there won’t be any French in the slides (or jokes about Maple syrup). We’ll look at ways to embrace the new cool tools everyone is using but keeping within workflows that are usually out of your control.